We’re more than just a restaurant solutions company who designs and implements some of the most innovate technology in the industry. 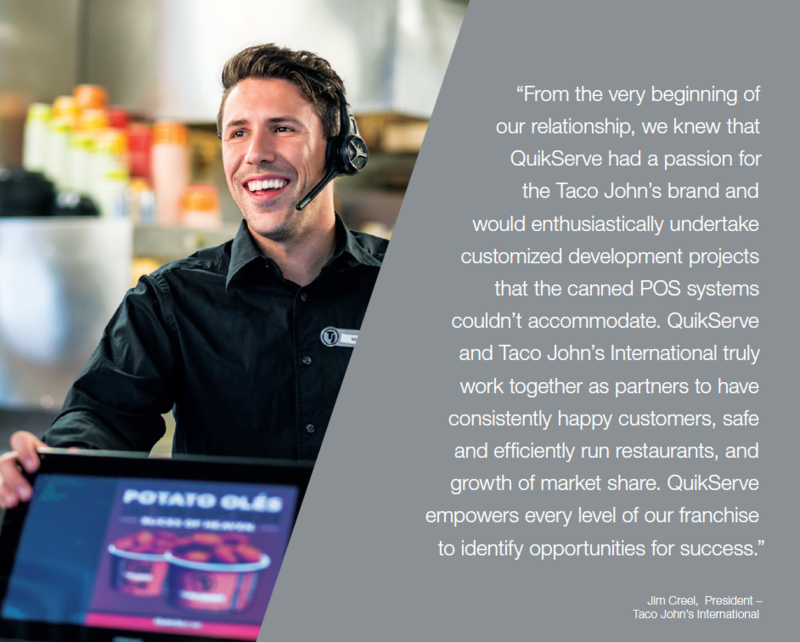 We’re your partner along the way. And being a partner means being available to you 24/7. If you’re working, so are we. Our dedication to customer service begins with the first phone call you make to us. We make a point to learn the unique needs of your restaurant and recommend to you the essential products of success only after listening to and identifying the challenges that are holding you back. We could easily design off-the-shelf solutions, and all make a good living, but that is not what we’re about. We chose to be a company grounded in creating custom solutions for each partner we work with. The information we gather about your business is then filed under your name…no customer numbers here. And with a dedicated Account Manager at your service, you don’t need to repeat your needs every time you call in – we know you already – heck maybe you’ve even stopped by our office to share a beer with us! Our job doesn’t end after our solutions are installed and operating. We’re with you every step of the way from educating you on our technology, training you and your team on how to use it during and after we install. Customer service is at the core of who we are, and if we’re not treating your business as if it was our own, we’re not doing our job. QuikServe’s technical support team is available to you 24 hours a day, seven days a week. It’s our goal to immediately be available to you to answer any question you have about your business. Regardless of whether it’s specific to our products, we can guarantee we’ll help you find the answers you’re looking for. No matter how you utilize our solutions, as a QuikServe customer, you can count on a level of support you won’t find anywhere else. To learn more about how QuikServe can work with you, please contact us a 402-933-5296 or by email at info@quikserve.com.